Thinking about pursuing student research opportunities? As a student in Falk College, you will have opportunities to work with researchers, professors, and fellow students (both graduate and undergraduate) exploring a variety of fields and approaches in the each of the Falk discipline. Research experience allows students to better understand published works, balance collaborative and individual effort, grow interest in graduate studies and influence career trajectories. Development of research opportunities for both graduate and undergraduate students is an important part of the Falk educational experience. What was your favorite course? Why? Are there questions in your academic field that are intriguing to you? Do you have summer job or part-time job that has cultivated an interest in research? Why? Is there a special population/issue in the field that interests you? I want my life’s goal to help reduce/improve? Consider areas of study that interest you (use the listing above). And investigate what faculty are doing in Falk– where are there similarities? Look through the Falk College Faculty Directory and Falk College Funded Research Projects. Are you interested in quantitative, qualitative or mixed methods? Learn about the difference. Determine how much time you have each week, what days you will be available and when you would like to start. Do you have interested in getting published? What does it mean to be published. Do you need academic credit? Contact your academic advisor to discuss your interests in research and what Falk faculty might match your areas of interest. Remember you may not find a perfect match but participating in research develops many transferable skills, so even if the faculty is studying children and mindfulness and your focus area is play therapy – the common theme is research with children/development. Identify three to five potential mentors with your advisor. Speak to faculty members after class or during office hours to request an appointment to discuss research. Bring your resume, transcripts, relevant work products, and ideas to share with potential research mentors. If you find yourself unsuccessful in gaining a research position with a faculty member, please contact Amy Dumas in the Falk College Research Center, adumas@syr.edu. The Syracuse University Young Research Fellows Program for first and second year undergraduate students provides research funding of up to $4,000 over two years. The Undergraduate Research and Creative Works (URCW) Grant Program for undergraduate students provides research funding of up to $2,800 for summer grants and $5,000 for academic year grants. The Undergraduate Research Trauma Training Program is recruiting Veterans (and a limited number of non-Veterans) who are undergraduates to participate in this program sponsored by the National Science Foundation; participating students will earn a $3,370 stipend. Learn more about other NSF REU programs. 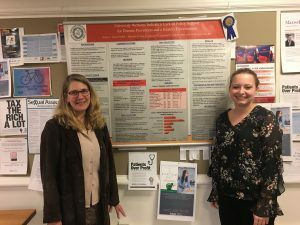 The Falk Student Research Celebration is an annual event that takes place to highlight undergraduate and graduate student research projects mentored by Falk Faculty. This event allows students to exercise what they have learned in the classroom, laboratory, through mentoring, and through peer-to-peer exchanges. 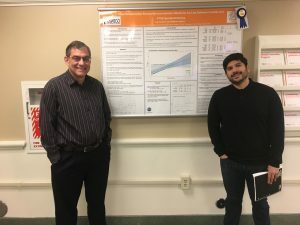 Students submit posters for display and are judged by a committee of faculty, staff, and peers. Participants compete for educational funds to present their posters on a larger stage, to attend a conference to gain further insights into their respective fields, or for other educational endeavors. The Falk Student Research Celebration inspires students to get involved in a wide variety of academic research. This helps students discover new interests, opportunities, and new applications; building critical skills necessary for future careers. For more information contact Amy Dumas adumas@syr.edu, at the Falk Research Center.